“This ticket is paid for,” says the parking machine. And guess what: this time you didn’t lose the ticket in the black hole that is your handbag. You feel fresh, you’re flying, you’re totally satisfied with your good purchase choices. What a dream, right? We all know that’s not how it goes down. Many of us, even the dogs, have been a stressed, insecure mess at the end of a trip to the shops. What with overloaded hands, the parking ticket you can never find and the shoes you never bought, because they only had them in like EVERY size except yours. But never fear, ahead of the always happy, always fly ‘Sorbet Happy Day Sale’, the team in green (pink and yellow) has you covered with shopping tricks to help you ace any sale, silly season or just plain grocery shop. Before you go anywhere, get the buzz on. A little exercise before you go will get some endorphins flowing. We all know by now, from countless studies, that endorphins released through exercise make you feel great. Ramp it up with a juice shot afterwards. Research has shown that vitamin C reduces anxiety. Try fresh orange and carrot juice with a dash of ginger root. And then, to seriously take it to Turbo Happy, throw in a little laughter and music before you go. Use that shopping list like a GPS to stay clear on your movements and glide through the store/mall/boutique with purpose and direction. Stay focused on where you’re going, and what you’re buying. Don’t get distracted by the treats at the till or the seven thousand air freshener options. Stick to the list. (except for a Happy Day Sale where lists don’t count, only happiness does). On every other day though, stick to the budget. Don’t get distracted. Save that cash for a facial, rather #GoodLifeChoices. Make an enjoyable experience of it. Love your body and respect your health with a massage; or perhaps just take a break between stores with a quickie Sorbet mani or pedi or even better, a foot massage. It’s not indulgence; it’s earned and deserved babe! 4. Remember: Sizes are Silly! Clothing sizes between stores vary wildly; don’t take them too seriously – and don’t take the mirrors seriously either – unless of course you’re suddenly looking banting-fit,even though you just gobbled down a cheese burger and fries, then by all means TRUST that mirror. According to size charts, a ‘medium size’ at Woolworths is a ‘large’ at H&M, which is nearly an ‘XXL’ at MRP and an ‘XL’ at Cotton on. Um, what? Even though the diversity of beautiful South African bodies is not wonderfully catered for in many department stores, the perfect fit is out there! Trust. But we have a better idea: why not keep those stress levels low and shop for something that doesn’t require sizes – like makeup or bath and body products or dry shampoos and nail polish or perfumes or nice smelling homey things? Sounds blissful already. 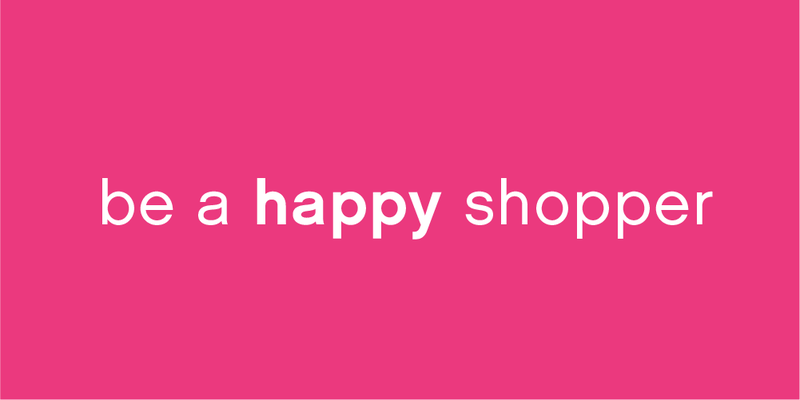 And, breathe – you happy shopper, you!